Historical reasons for secrecy in Vajrayana? Re: Historical reasons for secrecy in Vajrayana? Hopkins discusses this attribution here. Tsongkhapa opposed it. I don't think anyone can be 100% sure of the historical background behind the tantras but I think it is quite plausible that HYT was mainly spread amongst outcasts and tribals at least in the beginning. Very cool. Thanks for the links, Sherlock! First of all, friom what little i have seen , the real Vajrayana teaching and practice is not for the wealthy. About the matter of secrecy, no one here has mentioned the Japanese Vajrayana traditions, even tpday ,they keep the Vajrayana methods totally private and only for the ordained, thats it. They have done so for over one thousand years. I think that keeping the teachings private is a good thing , because I thionk that many laypeople in the west are deceiving them selves into thinking that they can really practice Vajrayana methods. They are extremely demanding and requirre a total devotion of all ones time and energy . I dont think that many Lamas will say this truthfully, and that that is quiite a problem. I think that for most of us we can practice mahamudra, and some simple yidams . to really practise the Six Yogas or very extensive methods like Hevajra or Chakrasamvara , requires a complete re-orientation of our lives and renunciation. Methods like these , are not suiitable for large numbers and just arent ever going to be taught widely. Jnana wrote: By way of contrast, Japanese Shingon might be an example of a Vajrayāna tradition that has managed to maintain greater secrecy and discipline, with more restrictions on who can gain access. AFAIK this is the case even with regard to who can access or own ritual items such as vajra & bell. If I were to venture an opinion, I would suggest that this was originally synonymous with the modern concept of "trade secrets", so that for the super-special teachings you had to go to some specific source, thereby ensuring a customer base.. Later over generations this became part of the tradition as such habitual things tend to do, and so formulated an extra set of attachment grasping mudding up the teachings, the sort of snowball effect that covers original teachings with a number of colorful layers that are not actually necessary or may even be counter-productive, generally speaking. randomseb wrote: If I were to venture an opinion, I would suggest that this was originally synonymous with the modern concept of "trade secrets", so that for the super-special teachings you had to go to some specific source, thereby ensuring a customer base..
A customer base? Vajrayana is a commercial affair? Later over generations this became part of the tradition as such habitual things tend to do, and so formulated an extra set of attachment grasping mudding up the teachings, the sort of snowball effect that covers original teachings with a number of colorful layers that are not actually necessary or may even be counter-productive, generally speaking. Counter productive according to who? Opinionated? Yes! Crazy? I don't think so! Misinformed maybe? There are innumerable secrets whose power simply evaporates when profanely exposed to others. There are also some things so secret that the day you speak of them will be the day of your accidental death. gregkavarnos wrote: A customer base? Vajrayana is a commercial affair? gregkavarnos wrote: Counter productive according to who? gregkavarnos wrote: Opinionated? Yes! Crazy? I don't think so! Misinformed maybe? Take what namgyal posted above.. Now buddhism is like dark magic from some ancient witchcraft out of england? Deity practice is not a "regional tradition" from Tibet. The Vajrayana originated and flourished in India. It was then lost and preserved in Tibet. Some people seem to think that yidam practice is a mixing of ancient Tibetan shamanism with Buddhism, but with the exception of some local protectors, all of the deities came straight from India. Some gurus actually spend their time teaching and helping their students. Sad to hear you have not encountered one of them yet. You do realise that some (most) conventional medicines are poisonous when used incorrectly, at the wrong time, for the wrong disease, by the untrained? Why do you believe that spiritual medicines would be any different? Are you saying that it is unrealistic to check a teachers conduct and their practices, before giving yourself over to them, in order to avoid later apocalypses which may lead to you abandoning them and the practices? I mean, that is what I, personally, would be proposing. gregkavarnos wrote: You do realise that some (most) conventional medicines are poisonous when used incorrectly, at the wrong time, for the wrong disease, by the untrained? Why do you believe that spiritual medicines would be any different? Indeed, and do doctors tell you "come attach yourself to me, so and one day I will teach you the super special secret medicine to cure all your ills!"? Or do they just go ahead and administer the medicine? gregkavarnos wrote: Are you saying that it is unrealistic to check a teachers conduct and their practices, before giving yourself over to them, in order to avoid later apocalypses which may lead to you abandoning them and the practices? I mean, that is what I, personally, would be proposing. Why no, this is not unrealistic at all! But how can you do this if their practice is super secret? CrawfordHollow wrote: Deity practice is not a "regional tradition" from Tibet. 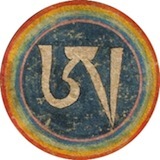 The Vajrayana originated and flourished in India. It was then lost and preserved in Tibet. Some people seem to think that yidam practice is a mixing of ancient Tibetan shamanism with Buddhism, but with the exception of some local protectors, all of the deities came straight from India. Right right, but some of the deities come from Tibet, and Tibet's pre-buddhism religion was adapted and incorporated into the new one, much like we saw happen with big name western religions. Padma Sambhava's book "The Tibetan book of the Great Liberation" is a more accurate description of what the practice is, after removing all of the colorful folklore and metaphoric language. Unless you want to argue with Padma Sambhava's point of vue, aka Guru Rinpoche, you know? It is not unrealistic because:"When the student ready,the teacher will appear". No doubt are you findable for an master. randomseb wrote: Indeed, and do doctors tell you "come attach yourself to me, so and one day I will teach you the super special secret medicine to cure all your ills!"? Or do they just go ahead and administer the medicine? In Buddhism you become your own doctor and (here in Greece) it normally takes 5 years of study and two years of internship to become a doctor. ie 7 years of study and practice to be able to administer a medicine. So why do you find it strange that you have to be trained to administer medicine to yourself? Exactly what type of Buddhism do you practice? Not all the practices are super secret and by observing the teachers behaviour one can assess if they wish to follow the teachers practices (since their behaviour will be an outcome of their practice). Exactly what type of Buddhism do you practice? I repeat the question because the questions you are asking and the assumptions you are making do not seem to be based in knowledge, of or contact with, Vajrayana. Oh I am heavily involved with the Kagyu lineage at the moment, but I don't know that I will be entering as a monastic under it as originally planned, because in general Tibetan buddhism doesn't seem to be very buddhist as described by the Buddha, or rather, the buddhism is there, but it's buried under a ton of layers of other stuff, and I don't know that I can stomach all the religiousness involved. Which is not very buddhist of me, but what can you do? randomseb wrote: Oh I am heavily involved with the Kagyu lineage at the moment, but I don't know that I will be entering as a monastic under it as originally planned, because in general Tibetan buddhism doesn't seem to be very buddhist as described by the Buddha, or rather, the buddhism is there, but it's buried under a ton of layers of other stuff, and I don't know that I can stomach all the religiousness involved. Which is not very buddhist of me, but what can you do? Get off you high horse perhaps? How am I supposed to see over the Great Wall if I am not standing on some horse? Do you propose I invent and build some kind of wooden wall escalation system with two post and various cross-beams? randomseb wrote: How am I supposed to see over the Great Wall if I am not standing on some horse? Do you propose I invent and build some kind of wooden wall escalation system with two post and various cross-beams? If you are an expert on how Buddha described Buddhists why don't you just go ahead and tell us what he said? Really? What do the Four Noble Truths say about the guru student relationship? How long have you been practicing in the Kagyu tradition? I take it you have completed Ngondro? Any teacher that would say "come attach yourself to me" is not a teacher, imo. Any teacher worth his or her salt would throw you out the door the minute you sat down. An if you were any kind of worthy student, you would be chuckling as you left the door. Opps! Thats how they do it zen. And this is a Vajrayana discussion! Those Tibetans are so much kinder than their counterparts. They accept everyone! Of course they die sooner too as a result. Hmmm....have to ponder this a bit.